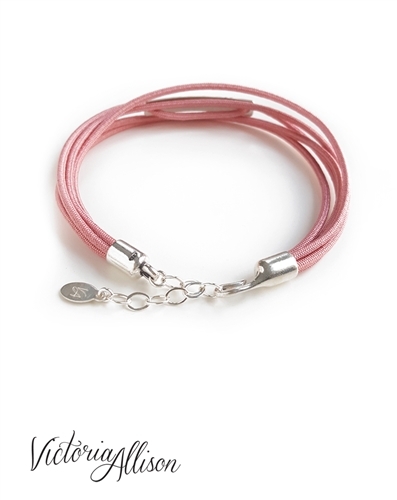 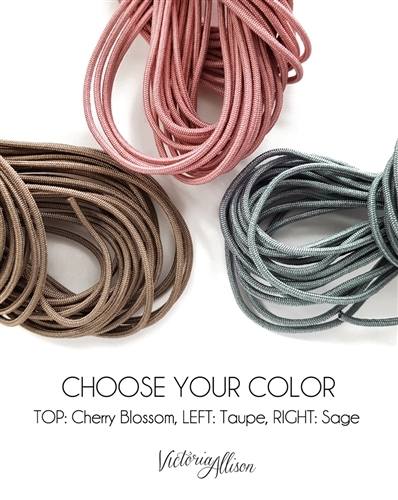 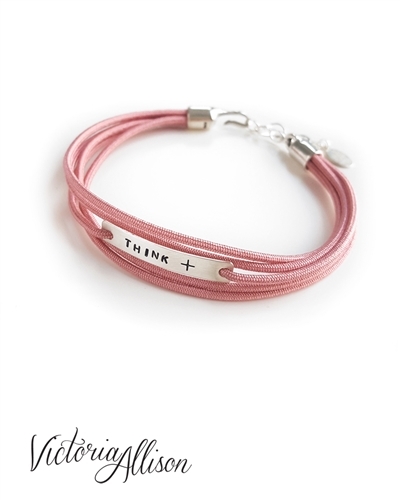 The "THINK +" bracelet is available in your choice of braided silk cord color, with multiple length options suited to each wrist size. 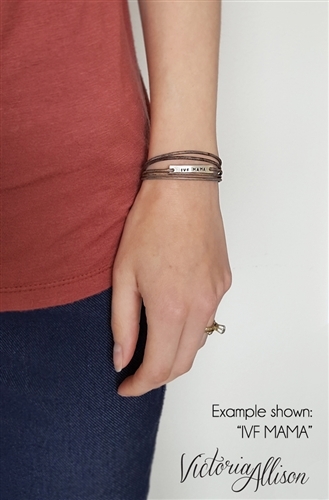 All of the metal components on this design are sterling silver (not plated.) 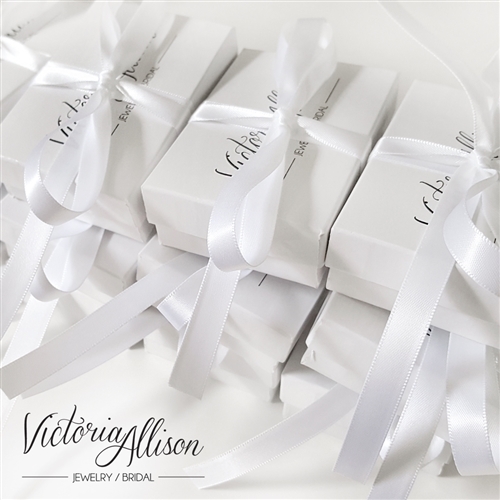 Each bracelet will be made to your customization after purchase.